If we want to send people to Mars, we’re going to need some bigger engines – and that’s exactly what NASA’s building right now. In fact, we’re going to need the most complex engine ever built by mankind. 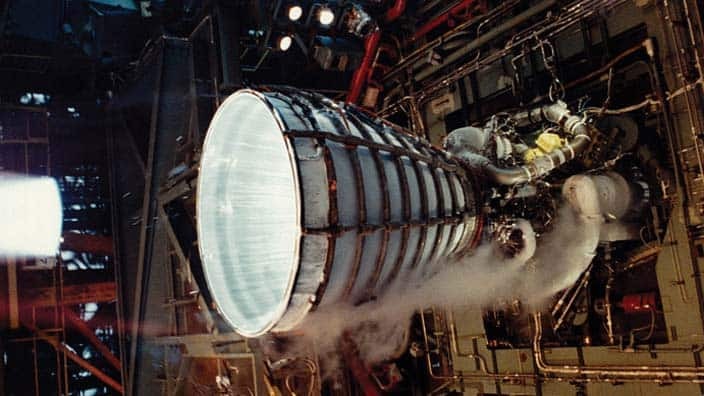 “It is the most complicated rocket engine out there on the market, but that’s because it’s the Ferrari of rocket engines,” said Kathryn Crowe, RS-25 propulsion engineer. The RS-25 engine. Image via NASA. The 2020 mission will be NASA’s biggest and most ambitious since Apollo 11’s landing on the surface of the Moon in 1969 – that’s a big statement to NASA’s commitment to ushering in a new age of space exploration. But first, they need to make sure the engine is working properly. At 4:30 p.m. EDT on August 13, 2015, NASA conducted a developmental test firing of the rocket’s engines at its Stennis Space Center in Mississippi, and everything played out as expected. The RS-25 produces 512,000 pounds of thrust, which is over 12 million horsepower. It’s powered by 4 turbopumps that each generate 100 horsepower for each pound of weight, with a main shaft that rotates at a rate of 37,000 rpm, compared with 3,000 rpm for a car engine traveling at 60mph (96.5km/h). “The RS-25 is about the same weight and size as two F-15 jet fighter engines, yet it produces eight times more thrust. A single turbine blade the size of a quarter — and the exact number and configuration inside the pump is now considered sensitive — produces more equivalent horsepower than a Corvette ZR1 engine,” Burkey wrote. But all that strength has also been optimized in every conceivable way to ensure maximum power. “When you’re looking at designing a rocket engine, there are several different ways you can optimise it. You can optimise it through increasing its thrust, increasing the weight to thrust ratio, or increasing its overall efficiency and how it consumes your propellant. With this engine, they maximised all three,” Crowe continued.